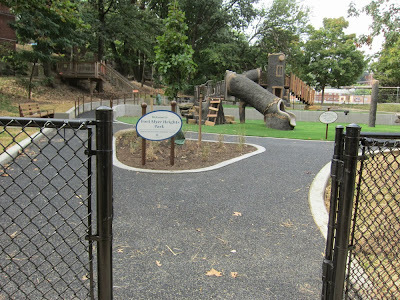 Ode Street Tribune: NEWS FLASH: Ft. Myer Heights children's playground open! NEWS FLASH: Ft. Myer Heights children's playground open! The walk-through with the park contractor was completed by about noon. The Fort Myer Heights Park children's playground is now open. Enjoy the finest children's playground east of the Mississippi!